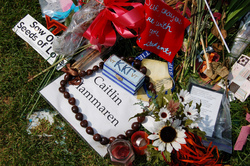 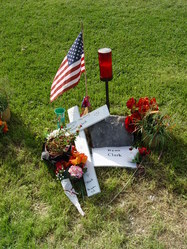 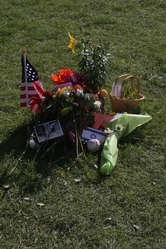 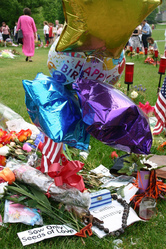 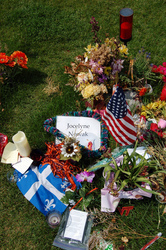 The area around Jocelyne&#39;s stone is filled with flowers, notes, and other items. 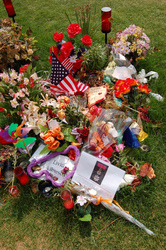 The area around Liviu&#39;s stone is filled with flowers, notes, and other items. 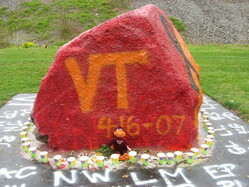 This photo captured Henry Lee&#39;s hokie stone. 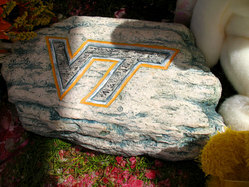 This photo captured Liviu Librescu&#39;s hokie stone. 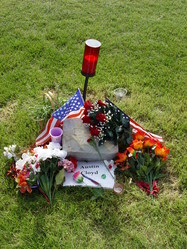 This photo captured Austin Cloyd&#39;s hokie stone. 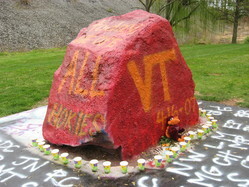 This photo captured Ryan Clark&#39;s hokie stone. 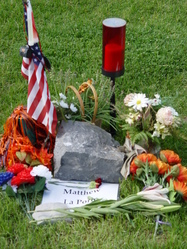 This photo captured Matt La Porte&#39;s hokie stone. 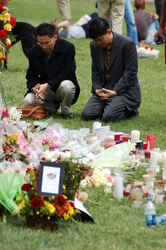 Two individuals pray in front of the main memorial site on the drill field. 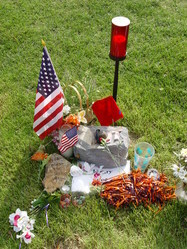 Cho&#39;s Hokie stone is littered with notes. 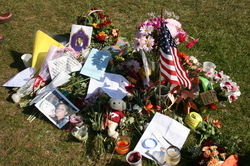 Reema&#39;s stone is marked by flowers, letters, and memorabilia from loved ones. 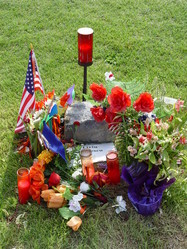 Daniel Perez&#39;s stone is marked by the flag from his home country. 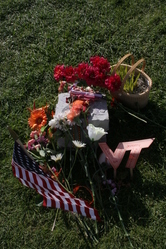 33 Hokie Stones were laid out on the drill field in remembers of those that died. 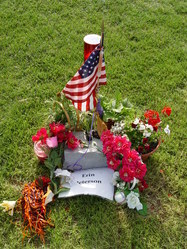 Jeremy&#39;s parents wrote a simple, but moving message on the left side of his rock. 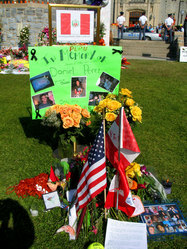 It says, "We love you Jeremy, Mom and Dad." 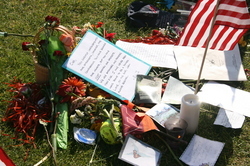 Several individuals left personal notes at Liviu Librescu&#39;s Hokie Stone.